Step 3 in Clinique's 3-Step Skin Care System. The moisture "drink" developed by Clinique's dermatologists to maintain optimal moisture balance. Softens, smooths, improves. 1. Apply twice a day to face and throat all over, or where needed. 2. For best results, use after Facial Soap and Clarifying Lotion. This product has been around for ages and with good reason. It is a really affordable great quality product. It does what it says and it does not cause me to break out. It is really light weight and sinks in quite fast and then disappears - it does not leave behind an oily / sticky layer on the skin. I am yet to try the gel which is more suited for my oily skin type, but I have not had any problems with this one for evening use. I suspect that the gel will just work better for day time under makeup. If you have not yet tried this one, do go out and get it - it is just that good! 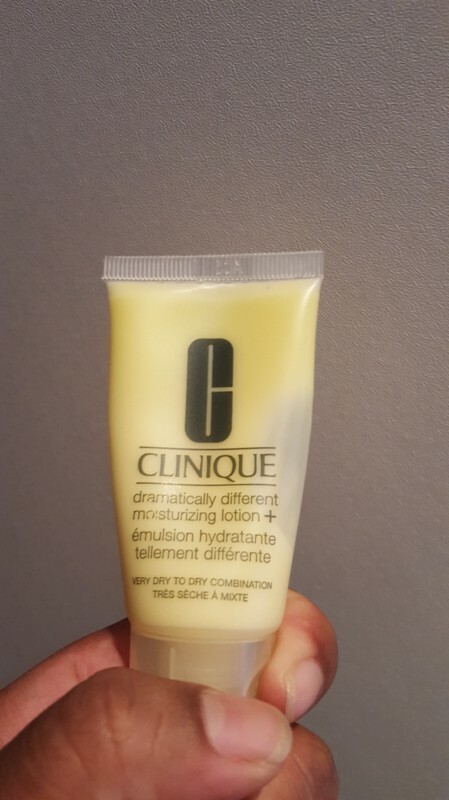 I always receive this as a freebie with my Clinique purchases .. 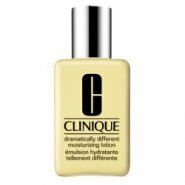 I think it's a great moisturizer,its lightweight yet packs a punch_ my skin just laps it up. It's a must for winter because it will replenish lost mositure and keep skin supple. Clinique has a wonderful range of products. This is one of them that I really like using in winter months only as the it's really hydrating and keeps my skin moisturised throughout the dry winter days . Granted it is fairly expensive however if you have really dry skin you will appreciate this product for its capabilities to keep your skin feeling smooth and soft all day long. This product lasts really long and one or 2 small drops is all you need for a thorough application. The product is not harsh on the skin ask the ladies for testers at the counter so that you can give it a try before spending on a bigger bottle . I received this moisturiser in my starter pack from Clinique. It doesn't claim to do much on the bottle/box. So I wasn't impressed. Boy was I wrong! It is like butter for your skin! I use other moisturisers with "amazing" claims but I keep coming back to this one. A little goes a long way since it is so potent! No wonder this product has collected so many beauty awards over the years... it's the bomb! Used within or seperate to Clinique's 3-Step Skincare System, I never am disappointed with it's claim to be the skin's "drink". The super-smooth texture, light weight & no-fragrance formula, and OVERALL BADASS PERFORMANCE with or without makeup sets this product apart from the rest. This product is so bomb, it sometimes replaces my daily serum, and it never shows! In the warmer South African season I use the Skin Type #3 gel version, but in Europe or Johannesburg's wintertime, I switch to the Skin Type #2 lotion form. I really wish it was cheaper and it really really doesn't help when the price increases "dramatically" every time. But really, this is one of those lotion's where you really cannot explain how amazing it really is. - 54% improvement in skins barrier strength in 8 weeks without changing the famously silky texture. This cream does wonders! Not only is it a lightweight cream perfect for either winter or summer, it really does what it promises leaving no tight feeling. It is also 100% Fragrance Free. Go on try it! I chatted to the Clinique lady that was giving me my proposed skin care regime and told her I was in need of a moisturizer that won't make my face too oily. I needed a light but hydrating moisturizer. She recommended Dramatically Different Moisturizer, for which I paid R185. I have been using it for 2 weeks now and it is absolutely fantastic!! Just what I needed my skin is hydrated but not oily and left my skin feeling very smooth - no breakouts! The only problem is that my bottle didnt have a pump lid so I have to do a shake and put most of the cream back in the bottle after use. Great product and I will definitely purchase this again! I've never been a huge fan of this - and have never had to buy it as it's ALWAYS part of the freebie gift you get with purchase. It doesn't seem to work for me at all and I also don't like that it doesn't have sun protection. Wow!! Tried it!! Loved it!! It’s a really good moisturizer that makes your skin feel light and refreshed. I definitely felt a huge difference from the regular facial brands that leave your skin feeling clog and oily. It’s quickly absorbed and works effectively. Really enjoyed the whole 3-step skin care system!! Love love love. If I had the means this is what I'd use. Was given free sample sometime back and this product really emphasises the difference between the average clicks and pick n pay shelf moisturizers and great quality! Very little is needed to be effective. The anti ageing properties are exceptional leaving skin moisturized, firmer and glowing. People actually see a difference. I use this lotion as part of the Clinique 3-step system. I like that my skin doesn't feel greasy after using this and the lotion absorbs quickly. When I'm in a rush and don't have time to use toner first, I use the lotion on it's own and my skin still feels the same...smooth and soft. I have the 125ml pump bottle. It's lasts for ages as one pump is enough to cover my face. A bit pricey but worth it. Firstly, it has no SPF which is not really a deal breaker for me but it would be nice if they came out with an SPF version of the lotion. 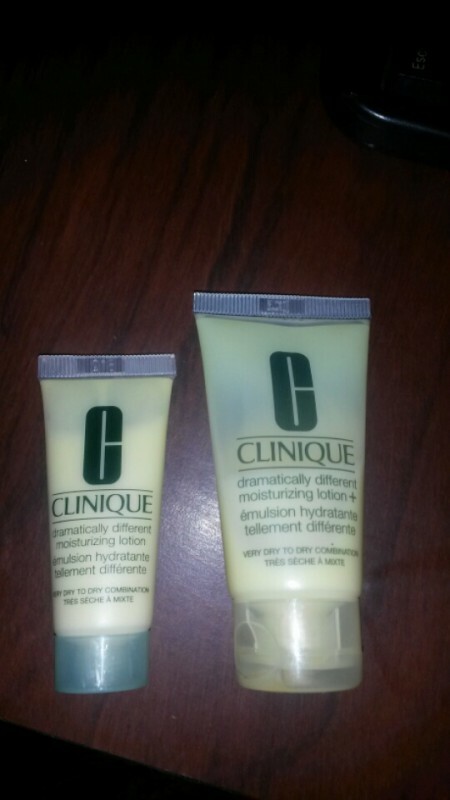 Secondly, if you're purchasing the Clinique Skincare System in those wonderful little packs, then you're going to end up with the pump-less version of Clinique Dramatically Different Moisturizing Lotion (DDML) which is a shame because towards the end of the bottle, you're left with a substantial amount of product you just can't get out. The pump version is larger and so much more convenient to use. Now on to all the things I love about DDM: It really does replenish and moisturize skin. It does so without leaving a greasy and uncomfortable feeling on the skin. After the first use, you'll immediately notice a glow and an improvement in skin texture. I prefer using the 125ml pump bottle instead of the 50ml pump-less version of the product. Also, I only really about 2 pumps of product for my whole face and in this way, I don't have to worry about wasting any lotion. The 125ml DDML retails for R310.00 and will last a really long time. Clinique counters usually always give out free samples if you're unsure about your skin type or if you'd like to try out the range before buying so I would definitely recommend visiting the counters and asking for a sample.